Jersey City, NJ – June 20, 2018 – TrialScope, the global leader in clinical trial transparency and compliance solutions, today announced that it has been selected by GlaxoSmithKline plc to facilitate clinical trial disclosure and transparency, which amounts to disclosing more than 1,200 records per year from studies conducted in over 90 countries around the globe. With this agreement, GlaxoSmithKline will implement two of TrialScope’s solutions: TrialScope Disclosure Management and TrialScope Transparency Management. TrialScope’s Disclosure Management solution centralizes, tracks and complies with clinical trial disclosure processes, mitigating compliance risks, and giving sponsors greater control over their clinical trial disclosure. The solution has been proven to reduce data entry, review, and approval times by as much as 85 percent. TrialScope’s Transparency Management solution enables sponsors to engage with patients and the public via a user-friendly website to openly share certified clinical trial information and results. 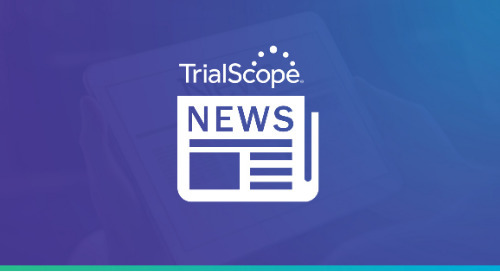 Currently, TrialScope customers are responsible for more than 40 percent of industry-sponsored clinical trials registered on clinicaltrials.gov and more than 45 percent of all industry trials on EU CTR. The post TrialScope Selected by Leading Global Pharmaceutical Company to Support Clinical Trial Disclosure and Transparency appeared first on TrialScope.